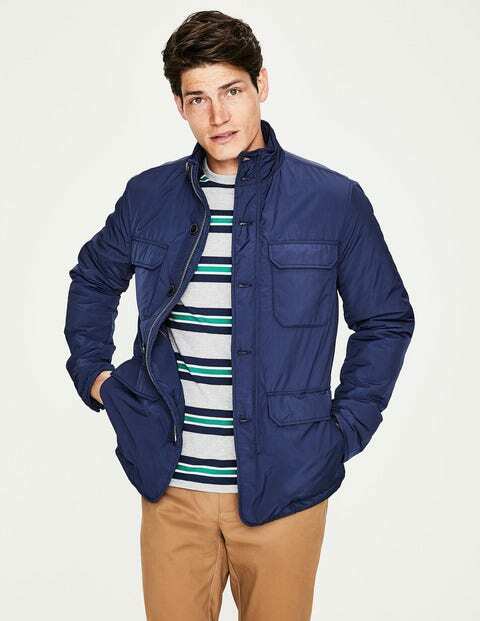 Whether you're heading out for a country walk or on your way to the office, this relaxed-fit jacket will look the part. We've taken inspiration from the US Military M-65 jacket and given it a Boden update. With a classic funnel neck, it's crafted from a lightly padded fabric, making it an ideal layering piece. It has four handy pockets (once designed to carry a soldier's essentials) and snap fastenings on the cuffs to keep the wind at bay. On the inside, you'll find quilting and our signature pops of colour.